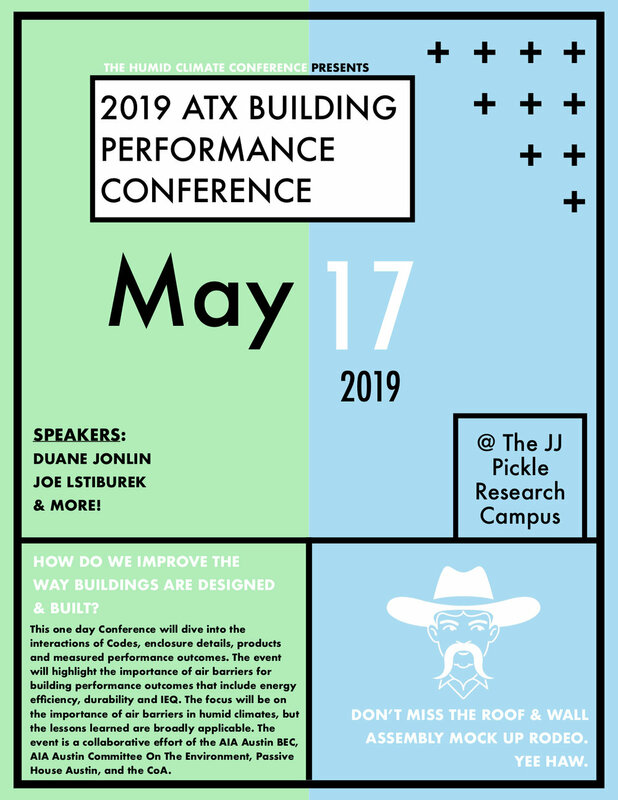 Don’t miss this incredible opportunity to meet up with other great building science minds to discuss architectural performance in Austin this May. We’re teaming up with the good folks from the BEC: Austin and the AIA Austin Committee On The Environment to bring you this program in the Humid Climate Conference’s off year. It should be a lot of fun and we’d love to see you all there!